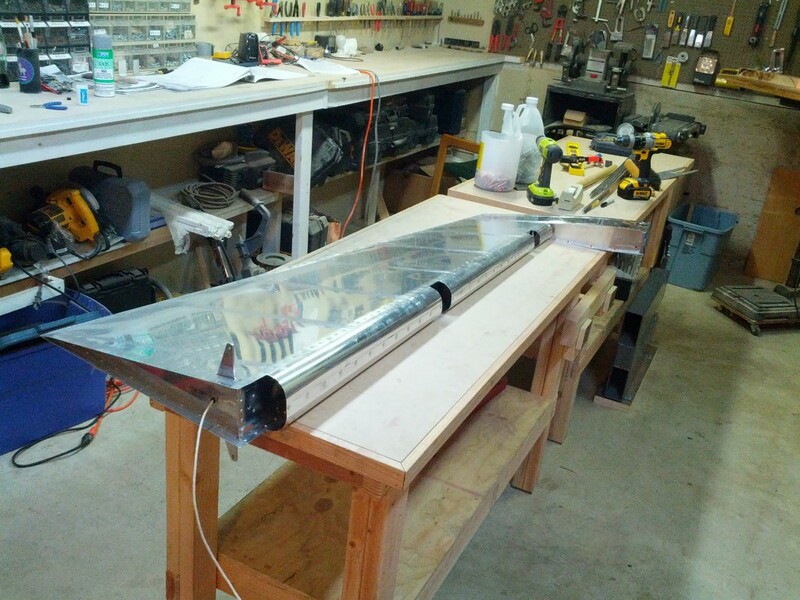 I also had to drive to the Woodland Park Do It Best Hardware Store (and Aircraft Supply) to acquire a long enough 1.25″ dowel to roll the leading edge. I had two 1.25″ dowels, but they really weren’t long enough. 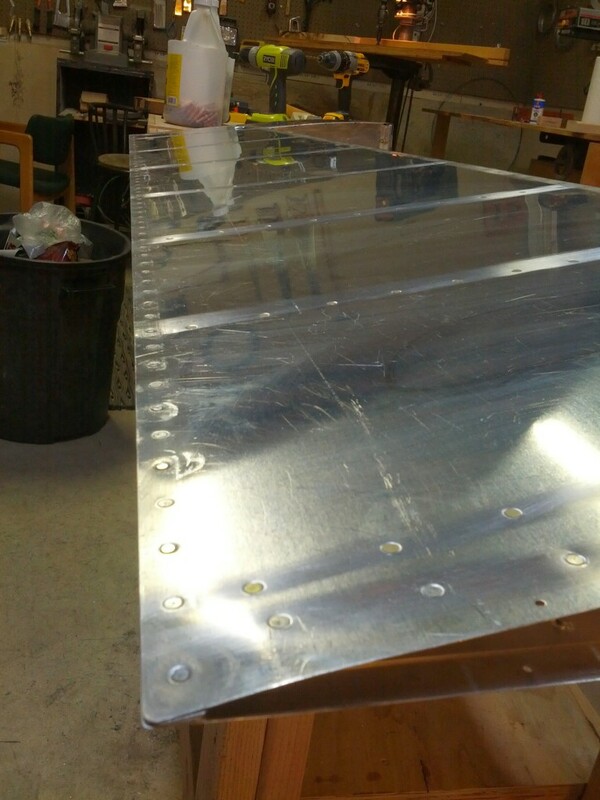 I forget to take pictures, so all you get is completed rudder at this point. 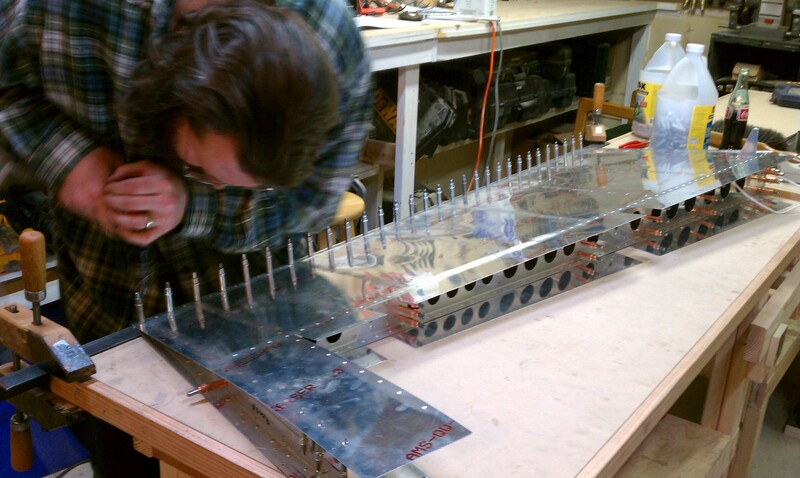 Finally getting past the sticking points with the rudder. Here’s some 5-conductor wire for trim servos, with some home-made brackets from the scrap left over from the rudder stiffeners, gorilla tape and zip ties. 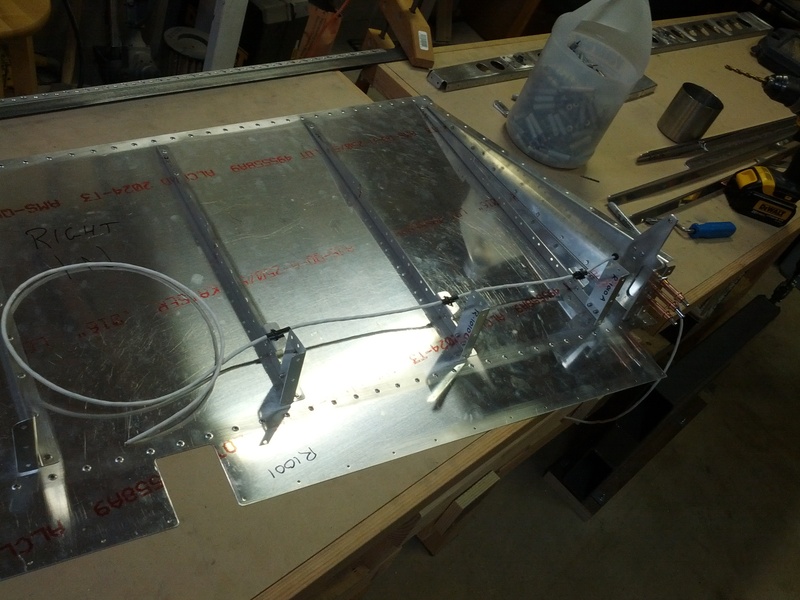 Or, as Randy suggested I call them on the blog: teflon insulation and carbon fiber wire support. 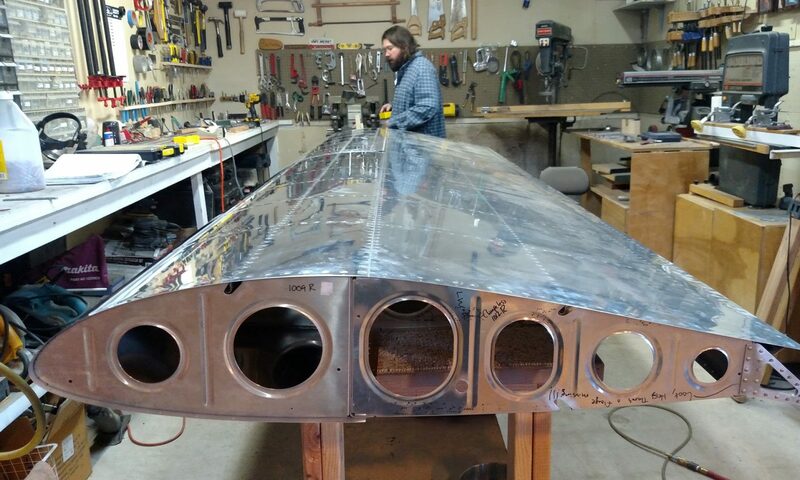 We decided to go off the map with the trailing edge, and forgo the proseal entirely in favor of using the “Tim Olson / Mike Howe Angle Iron Method”. Over all, it worked out great. The trailing edge looks perfectly straight, and we didn’t have to deal with proseal. I appear to be holding an invisible rivet gun in that photo. I’m not sure how Randy managed that. 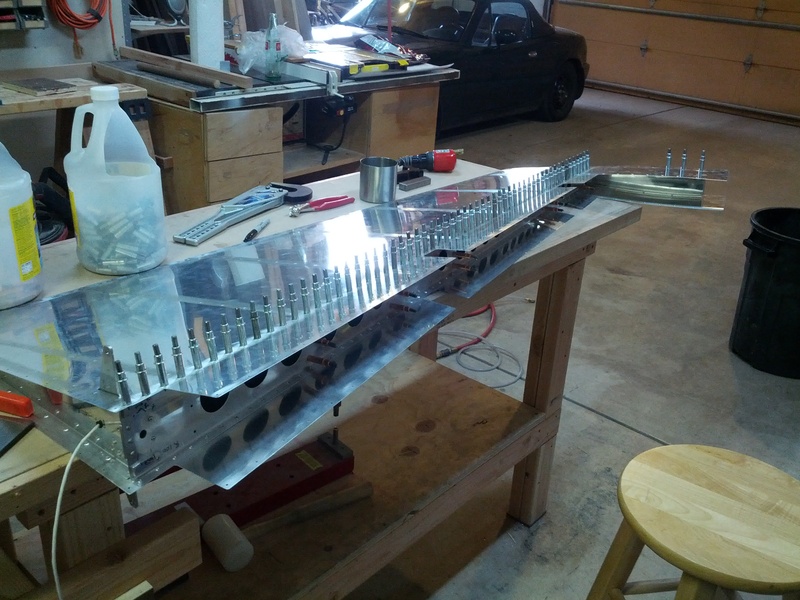 We’re close to finishing up the rudder, and we’re in good shape to start the horizontal stabilizer. 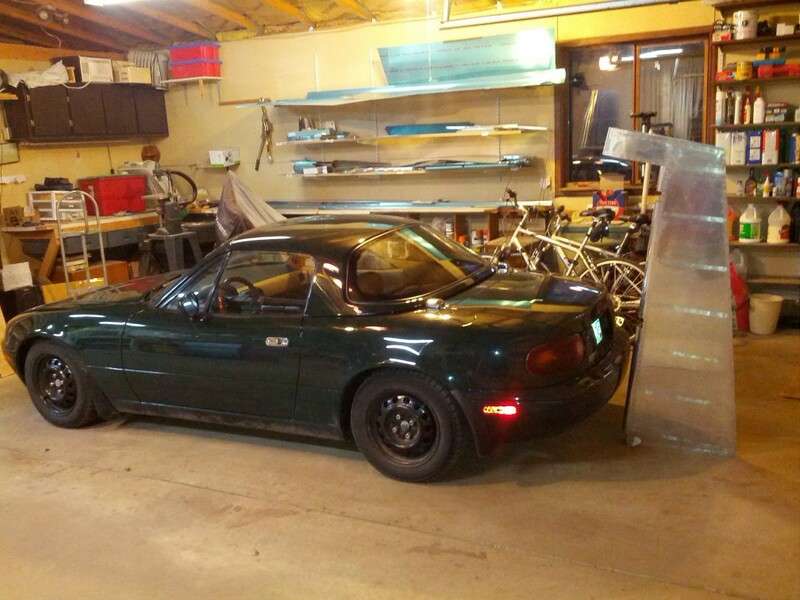 We’re ordering the wings on Monday!